Like an army sweeping over a conquered city, DT writers and editors walked hundreds of miles and interrogated scores of companies at CES 2018. Our goal: to find the trends that will shape the year ahead in technology . . . and maybe play with some cool stuff along the way. Here’s what we learned, and how it will affect the products and tech that will shape your life in the year ahead. Televisions and entertainment technology remain at the heart of the Consumer Electronics Show, and 2018’s event was no slouch in this department. Last year saw the eye-popping Wallpaper OLED from LG, which took our breath away. This year Samsung made the headlines, with its new TV named simply “The Wall.” Based on a new technology called MicroLED, the TV is modular, meaning Samsung can snap several panels together to make a giant display, or just use one or two in smaller screens. OLED may remain top dog today, but this technology is the freshest idea we’ve seen in years. LG was no slouch, showing off arguably the coolest product of the show: a 65-inch, rollable 4K OLED display. It’s this flexible form factor that’s poised to take the reins of all things screens in the very near future. Meanwhile, several manufacturers showed off 8K sets, new displays that pack in four times as many pixels as 4K images. While technology must ever advance, the advent of 8K is hardly a step in the right direction, given the current slow rate of adoption of 4K by broadcasters. These panels may lead consumers to hold off on purchase of new sets, fearing that a new tech is “right around the corner.” News flash: It ain’t. A great TV is a waste of money without great speakers to match, and the best orchestra in the world is destroyed by crappy headphones. Fortunately, at CES 2018, we saw some fantastic headphones, none more so than the Sennheiser HD 820, which uses Gorilla Glass to keep sound inside, and make some really stellar looking cans. 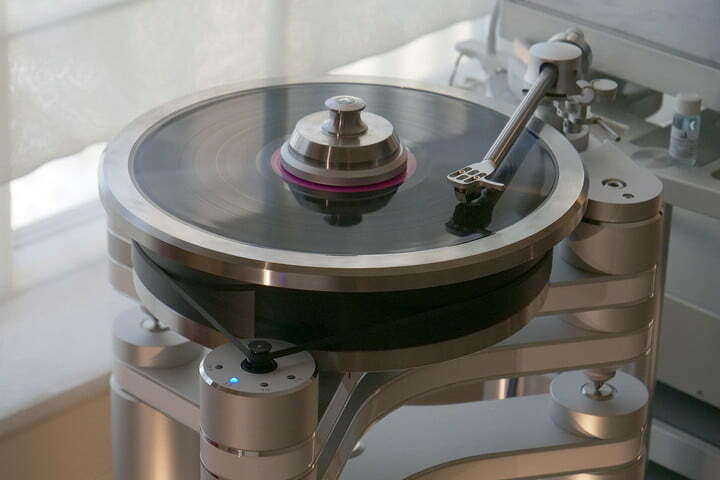 CES also served up ear candy for the big spenders, including a $45,000 turntable that knocked our socks off. But the big leap forward in audio technology is not for entertainment but everyday life: audio products that aim to improve hearing, enhance our ability to interact with the world around us, or simply solve the annoying ear-ringing malady known as tinnitus. One set of new earbuds, dubbed simply the Bragi Ears, use a specially developed algorithm to map your hearing, account for any hearing loss or tinnitus from which you may be suffering, and amplify the world around you to let you hear subtle whispers from up to 100 feet away. Now that’s innovation. A week ago, I thought we’d see electric cars everywhere. I was wrong. Sure, there were some announcements, such as the cutesy Electra Meccanica (a car built for one) and the Byton – the latest electric car concept to debut at CES. Will it be around in two years? Who knows? But an explosion of announcements in autonomous driving turned what was starting to feel like a “next decade” promise into a “next year” promise. From partnerships to new joint ventures to entirely new companies, everyone was talking autonomous cars, giving a fresh feeling of potential to what was starting to feel like an empty promise. Meanwhile, connected cockpits are the new driver’s seats, and a dozen companies were showing them off. These sought to answer one question: If the car drives itself, do you need a steering wheel? Or a speedometer? Or anything really? We were particularly enamored with Bosch’s vision of the future, which relies on facial recognition and haptic technology to make driving more relaxing and, ultimately, safer. The mobile phone space is usually quiet at CES, what with Mobile World Congress right around the corner in February. But CES is a more important show in some ways, leading many companies to push for a presence there. Huawei in particular made headlines, with a keynote presentation that was intended as the launchpad for a major push into the U.S. Geopolitics played a weird role in the show this year, however, with U.S. lawmakers urging AT&T to cut commercial ties with the Chinese company. It’s hard to sell smartphones in the U.S. without a partnership with carriers. Accessories are a mainstay of CES, and the wireless charging pads, cradles, and mounts were hard to miss at CES, thanks to Apple’s embrace of the Qi standard – at last. Meanwhile, wireless power transmission took a few big steps forward as well, though the tech remains a little futuristic. Intel and AMD – two bitter rivals whose back and forth has driven innovation in computing for more than a decade – called an unexpected truce at the end of 2017. Laptops at CES showed new chipsets that merge the computing power of Intel’s CPUs with AMD’s graphics capabilities, perhaps promising the best of both worlds. The products we saw were thin 2-in-1s, meaning they fold around 360 degrees to be used as tablets. And AMD’s graphics power means we can expect some decent gaming performance from both of these computers – something we rarely see in laptops at reasonable prices. 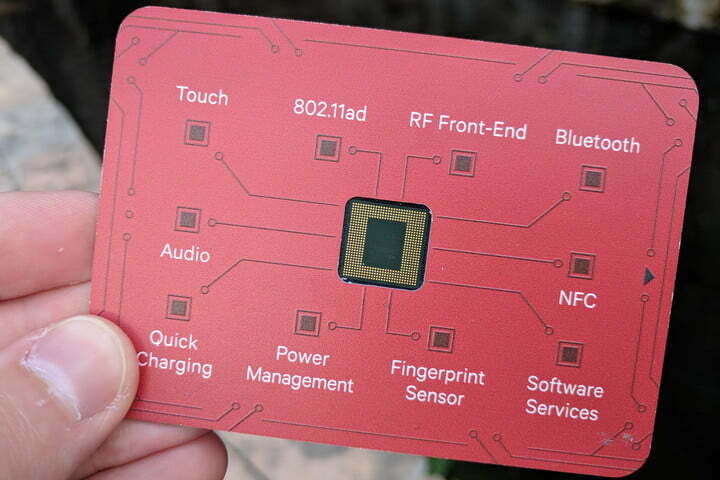 In other chip news, Qualcomm spent a good deal of time touting its Snapdragon 845 chip, and with good reason. The Snapdragon line traditionally powers smartphones, but next-gen chips will find their way into everything, from smart watches to VR headsets. A line of Snapdragon-powered laptops will literally last for days on end. Finally, the battery life we’ve all craved! What would CES be without crazy gizmos, and we saw a slew of them, including a ton of pet tech, devices that deliver Smell-O-Rama (at last), a robot that plays ping-pong, and something amazing called the Tesla Suit. But some trends we’ve talked about a lot in the past seemed more hot air and hype than hardware. Sure, we saw 3D printers that offered astonishing new levels of speed, such as Californian company Uniz (which used a new printing tech to set a 3D world record), and caught our first official glimpse of a 3D metal printer that blew our socks off. But in general, this tech doesn’t seem to be going mainstream any time soon. Likewise, a new Vive VR headset is cool and all, but in general, some killer app beyond gaming is needed to push VR over the edge. Other trends are here to stay, including the market for products we call “rideables,” which includes hoverboards, e-scooters, and an array of one-wheeled and two-wheeled battery powered devices. We were blown away by the IotaTrax, a new device from the guy who basically invented the entire space. It’s essentially a hybrid device that lies somewhere between a hoverboard and a self-balancing unicycle. Like a hoverboard, it has two wheels, which provide a stable riding platform. But like a unicycle, those wheels are situated between the rider’s feet. And like hoverboards and unicycles, it’s pretty awesome. One thing was clear from CES 2018: Google won the show. 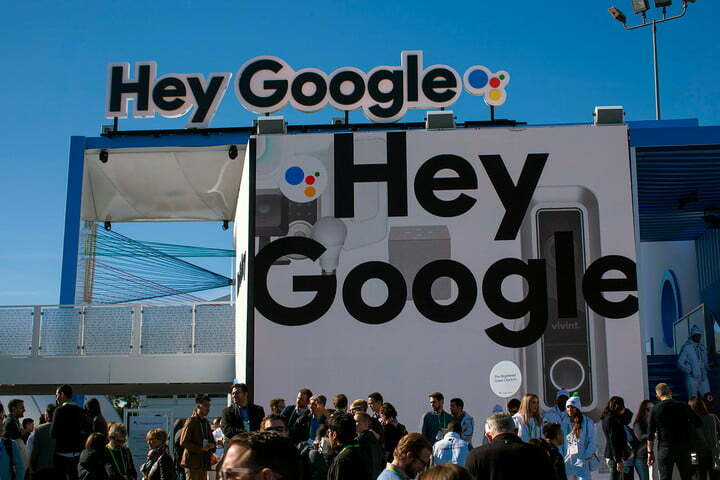 The tech giant was everywhere at CES, setting up a giant playground in the parking lot, wrapping the Vegas monorail, buying ad space on seemingly every billboard in town, and ensuring that booths from here to the Hard Rock Café touted compatibility with Google. Google was omnipresent. Meanwhile, Apple was nowhere to be found. Sure, the iPhone maker hasn’t been to CES in more than a decade, opting instead for its own high-profile events where it can control the conversation and dominate the headlines. But increasingly, it feels as though Apple is being left behind by the smart home market, which grows and evolves without it. Should Apple finally show up? In the kitchen, appliances are finally, at last, maybe just maybe starting to get smarter, ushering in the age of what we’re calling “guided cooking.” A few years ago, countertop appliances used apps or built-in touchscreens to help cooks set the right temperature, automatically stirring contents at the right speed and duration, and giving exact measurements. This year, large appliances seem to be catching on to the trend too. Meanwhile, Google and Alexa continue pushing into the kitchen, notably in GE’s Kitchen Hub, a huge 27-inch screen that goes above your stove. Not only does it work with Alexa and Google Assistant, it acts like an Echo Show in that it plays videos, lets you listen to playlists, and controls Zigbee and Z-Wave smart home devices. Finally, the very air and water we breathe and drink got wrapped into the smart home trend this year. At CES, we saw an increase in the number of smart air monitors and water leak detectors. While radon, carbon monoxide, and smoke detectors have always been around, smart detectors do more than just scream at you when you’re burning the casserole in the oven. Airthings debuted a new smart indoor air quality monitor at CES that monitors carbon dioxide, volatile organic compounds, and radon, and alerts you when the levels become dangerous.